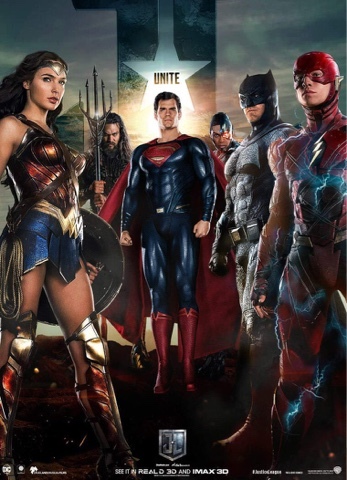 Something to Muse About: Warner Bros. Pictures Gets Ready to Run the Gamut at Comic-Con International: San Diego With Justice League, Ready Player One,Bladerunner:2049 and so much more! Warner Bros. Pictures Gets Ready to Run the Gamut at Comic-Con International: San Diego With Justice League, Ready Player One,Bladerunner:2049 and so much more! On Thursday evening, attend a panel for “The LEGO®NINJAGO® Movie” in the convention hall’s room 6A, with stars Dave Franco, Justin Theroux, Abbi Jacobson, Olivia Munn, Kumail Nanjiani, Michael Peña and Zach Woods and producer Dan Lin. Attendees will receive an exclusive, movie-themed giveaway. And for an hour each day during the convention, fans looking for a good stretch before standing in their next line can head to the lawn at the Omni Hotel to participate in “NINJOGA,” a tai chi/yoga-like workout for the ninja in everyone. The class begins at 10 a.m., Thursday through Sunday.